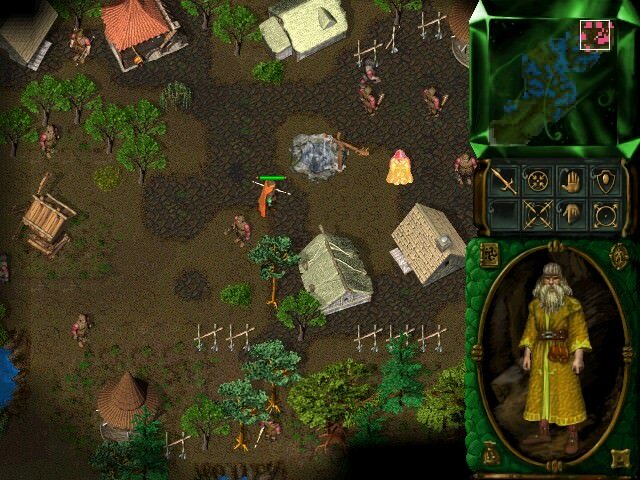 Rage of Mages is an isometric role-playing fantasy computer game published by Monolith Productions, Inc. in 1998. The player and his companions must journey through the world of Kania, on a quest to find a magical weapon that will break the cycle of war. Johnny Over the centuries, many a high-spirited Hero has set out on the quest for the magical weapon that will break the devastating cycle of war. But the mysterious island of Uimoir, which harbors the only hope for victory and redemption, has become a Hero's graveyard. Six hundred years have passed, and adventurer after adventurer simply disappears into the island's cold heart of darkness. If you need more information please contact the developers of Rage of Mages (Monolith Productions, Inc.), or check out their product website.